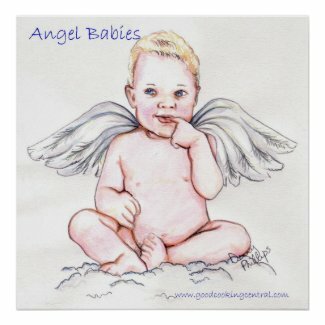 I hope that the baby angel images shown here bring a little bit of joy into your life. They are not only heavenly, but sweet and loving. Let the angels open your heart to the wonders of God’s universe. Angels are always around us. Sometimes they make their presence known through a whisper, the perfume of a beautiful flower, an unforgettable sunset... sometimes you get a warm feeling, a knowing that someone is guiding you... Regardless of how they announce their presence, they are always around. 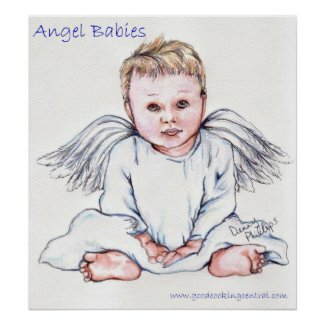 The following baby angel images are brought to you in affiliation with Zazzle.com. Needless to say, they make wonderful angel gifts. 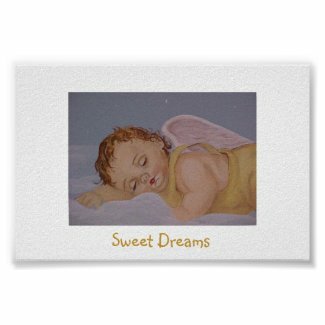 Begin selling my posters with Zazzle.